Kentucky lawmakers fulfilled a main duty the state constitution requires of them as final approval was given to a state budget that will guide more than $22 billion worth of spending over the next two years. 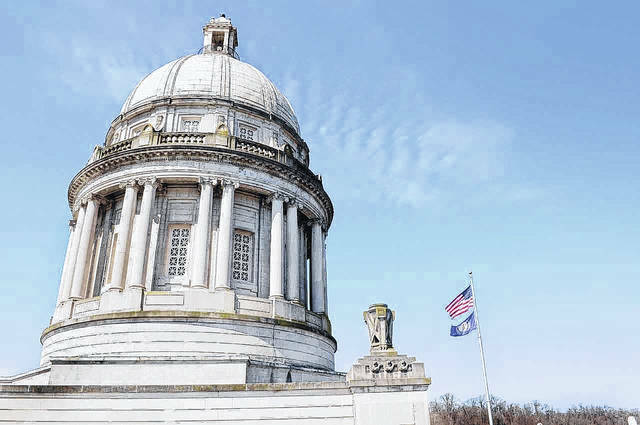 FRANKFORT, Ky. — This week, lawmakers fulfilled a main duty the state constitution requires of them as final approval was given to a state budget that will guide more than $22 billion worth of spending over the next two years. The budget includes 6.25 percent baseline cuts for most state agencies, although some agencies are spared. Agencies that will avoid cuts include the Department of Veterans Affairs, Kentucky State Police, and local school-based Kentucky Family Resource and Youth Services Centers. Road Plan. House Bill 202 will guide more than $2.4 billion in spending for Kentucky’s bridges, repaving projects and other road needs throughout Kentucky during the next two fiscal years. The bill has been approved and delivered to the governor. Lawmakers have also approved House Joint Resolution 74, which identifies projects for in the last four years of the state’s six-year Road Plan. Projects in this plan are prioritized but not yet funded. Adoption and foster care. House Bill 1 would reform Kentucky’s adoption and foster care system with the goal of ensuring that a child’s time in foster care is limited and that children are returned to family whenever possible. The legislation would also expand the definition of blood relative for child placement and ensure that children in foster care are reunified with family or placed in another permanent home in a timely manner. It would also require more case reviews for each child in foster care, create a “putative father registry” so that a child’s possible — but not verified — biological father can be notified of the child’s prospective adoption, and allow the state to seek termination of parental rights for new mothers who won’t seek drug treatment after giving birth to a drug-addicted baby. Lawmakers have now returned to their home districts for a 10-day “veto recess.” This is the period of time in which lawmakers wait until the end of the time period in which the governor can cast vetoes on legislation that has recently passed. This waiting period ensures that lawmakers have a chance to consider overriding any vetoes before officially adjourning the 2018 session. The session’s final days are scheduled to be held on April 13-14. If you’d like to share your thoughts with lawmakers about any of the measures that have been approved this year, you can do so by calling the General Assembly’s toll-free message line at 800-372-7181.
https://www.portsmouth-dailytimes.com/wp-content/uploads/sites/28/2018/04/web1_Kentucky-capitol-dome.jpgKentucky lawmakers fulfilled a main duty the state constitution requires of them as final approval was given to a state budget that will guide more than $22 billion worth of spending over the next two years.